Baahubali: The Conclusion is all the about the questions that have been left unanswered during Baahubali: The Beginning. 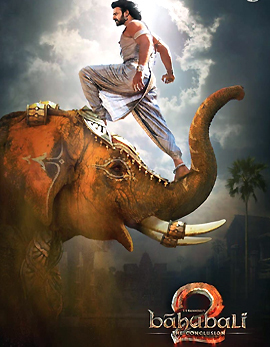 The movie is all about the story of Mahendra Baahubali (Prabhas) who has been explained about the kingdom of Mahismathi and about the royal king Amarendra Baahubali (Prabhas). 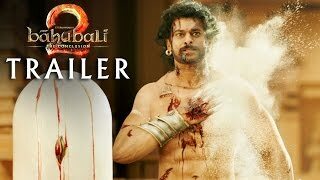 Baahubali: The Conclusion will explain how Mahendra Baahubali saves his mother Devasena (Anushka) from Bhallaladeva (Rana Daggubati) and conquers the kingdom of Maahismathi. Watch Baahubali: The Conclusion to know about the complete story. Baahubali: The Conclusion is much lavish and vast than the first installment of the movie. Mixed with right emotions and action, Baahubali: The Conclusion will impress the audience to the core. Rajamouli made sure each and every question of the audience will be answered in the movie. The action episodes have been completely destructive and the songs have been an eye feast. The emotional drama has been well narrated throughout and the first half of Baahubali: The Conclusion is truly an epic and will live up the expectations. Each and every frame of the film has been impressive. The second half of Baahubali: The Conclusion is all about the emotional journey and the major story of the film unfolds here. The crucial episodes have been well showcased and the action episodes carried the film well. Though the emotional content makes the film slow, the grand visuals along with the VFX and the production values make the film sit on the top. SS Rajamouli should be widely appreciated for his stupendous presentation throughout the movie. The destructive climax will sure leave the audience disturbing. On the whole the second half of Baahubali: The Conclusion is an epic. Young Rebelstar Prabhas excels as Amarendra Baahubali and Mahendra Baahubali. He has been stupendous on screen and his performance has been loud throughout. Rana Daggubati is the show stealer in the negative role and his kickass performance is a treat to watch. Anushka will sure leave on e in surprise as she dominated completely in her episodes in Baahubali: The Conclusion. Though she looked chubby in some of the scenes, the actress has been expressive. Ramya Krishna, Nassar and Satyaraj excelled in their roles which are the major backbones of the movie. All the other actors stepped out with their best performances on screen. The story of Baahubali: The Conclusion has nothing interesting to say but it has many answers to be unfolded throughout. The screenplay has been packed perfectly and the dialogues made the film look powerful. 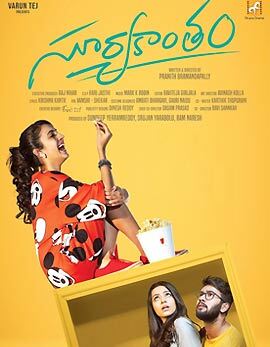 The cinematography has been extra lavish and the music, background score elevated the film well. The production values have been extra lavish and SS Rajamouli has been extremely successful in turning out Baahubali: The Conclusion into an epic. Baahubali: The Conclusion is one of the finest films of Indian cinema that should not be given a miss. Indian cinema should feel proud for having SS Rajamouli here. Baahubali: The Conclusion is an epic that will end up as the biggest blockbuster of Indian cinema.